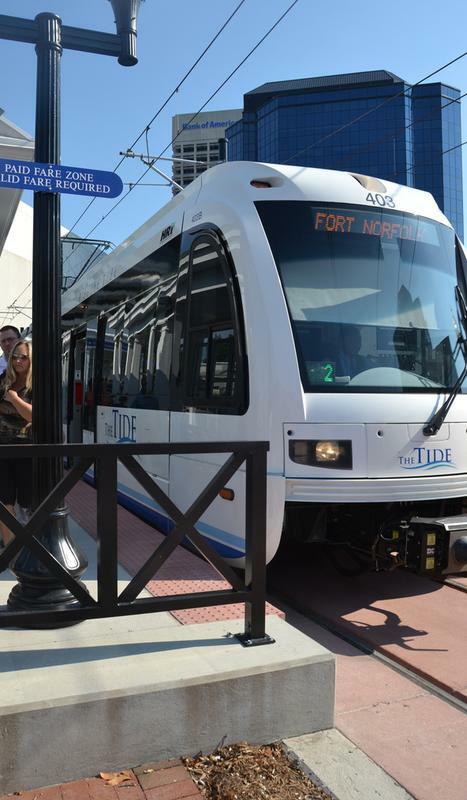 Purchase an eticket DAY PASS for The TIDE, Norfolk's light rail system. The ticket is valid for the date chosen and only for the individual named as the ticket holder, identification may be required. Valid for TIDE only. Not valid for any other Hampton Roads Transit services. Purchase an eticket round-trip for The Tide, Norfolk's light rail system. The ticket is valid for one round trip on the date chosen and only for the individual named as the ticket holder, identification may be required. Valid for TIDE only. Not valid for any other Hampton Roads Transit services.